According to a 2012 survey, nearly eight out of 10 physicians are “somewhat pessimistic or very pessimistic” about the future of the medical profession. 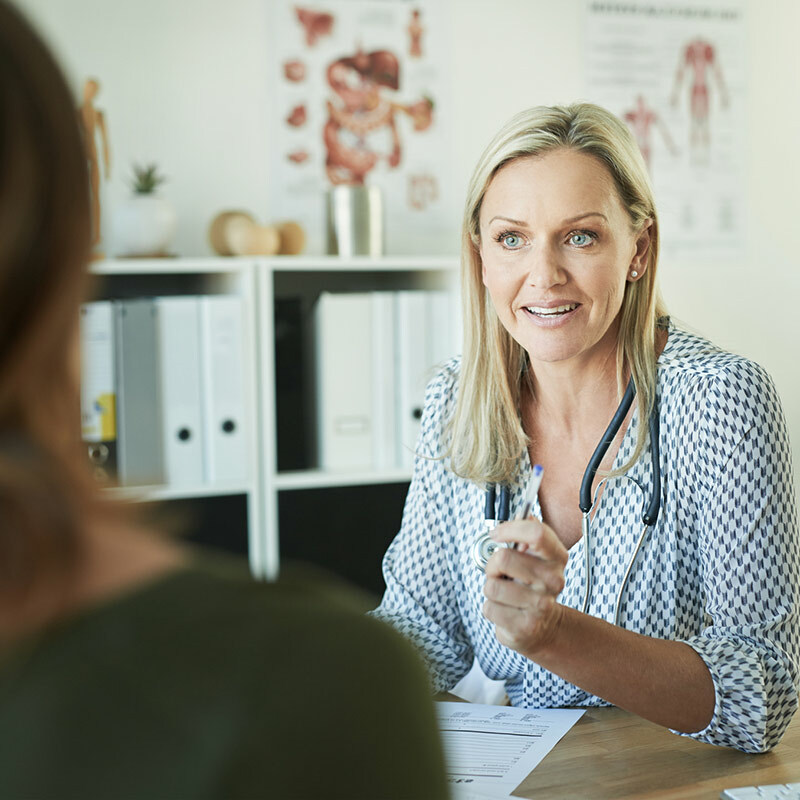 Shuttled from one short appointment to the next, physicians are struggling to keep up with paperwork, worried about malpractice lawsuits, and merely alleviating symptoms instead of curing disease. Focus on the patient has undoubtedly shifted elsewhere. In this article, we’ll look at reasons why the conventional medicine model prevents doctors from healing. Conventional medicine is failing, and physicians overwhelmingly agree. The future of any field looks bleak when its own professionals believe so much has gone awry. With the remaining eight minutes of actual patient interaction, building a trusting patient-doctor relationship is nearly impossible. We have ventured so far from the house-visiting family doctor we can picture from 100 years ago. With limited time per patient, doctors will often rush through patient history, fishing for the “chief complaint.” But valuable, individualized information can be revealed in thoroughly reviewing a patient’s family history, medications, and past and current conditions. For example, imagine a patient who comes in with a nasty, lingering cough. Based on the patient’s account and symptoms, antibiotics are prescribed, and the appointment is over. What didn’t come up is that this is the patient’s ninth course of antibiotics in a few short years for a variety of infectious diseases. In this scenario, there is no talk of why the patient keeps getting sick or of how to improve her gut health after taking the antibiotics. But the 15-minute doctor visit doesn’t allow time to collect the entire health story and see the bigger picture. In conventional medicine, physicians do not have the time to discuss lifestyle changes and alternative treatments. In actuality, there is very little time for much more than a prescription. Prescribing a drug to alleviate the symptoms is far easier and quicker than figuring out the complexities of chronic disease that plague the modern world. Before the epidemics of obesity, diabetes, and heart disease, most doctor visits were due to acute infections with simple solutions. Getting to the root of an underlying chronic disease, in comparison, is extremely complex and multifaceted. A couple of medications do next to nothing in curing these conditions. Yet prescription drugs remain the standard of care. The CDC reports that 74.2 percent of physician office visits involve “drug therapy” of some kind. (5) Prescription drugs do have a place in medicine and can be lifesaving, but patients are popping pills as per their doctor’s orders at alarming rates. According to the CDC, 48.9 percent of Americans used at least one prescription drug in the past 30 days. Almost a quarter used three or more, and 11.9 percent used five or more prescriptions in the past month. (5) With the dizzying number of available pharmaceuticals, it’s a struggle to keep current on possible medication interactions and contraindications. The personal nature of medicine is disappearing. Relationships between doctors and patients can help reveal personal information that could be medically relevant. Imagine this scenario: A middle-aged man shows up for his yearly physical with anxiety and high blood pressure. Because the physician is already falling behind in his dozens of appointments for the day, he quickly identifies the “major complaint”—high blood pressure—and prescribes a blood pressure-lowering medicine along with, possibly, an anti-anxiety med. The patient is sent on his way. Lifestyle and personal relationships never came up. With only eight minutes of actual face time, how could they? But, unknown to the doctor, this man’s mother has just passed away, and he has also recently lost his job. In other words, the high blood pressure could be temporary and could be treated with the proper combination of medication, counseling, exercise, and support. Unfortunately, most patients don’t feel comfortable enough or feel too rushed to share this kind of information. A doctor can hardly “care” for someone they spend eight minutes with a couple times a year. The result is a medical practice that resembles an assembly line more than a patient-centered network. Today, medicine operates like an industry. Practices try to cash in on the economic principle of comparative advantage, where doctors do the tasks that only doctors are allowed to do, and nothing else. Because doctors are rushed from one appointment to the next, every possible procedure or test that can be taken over by someone other than the doctor is. This is quite different than just a couple generations ago, when the physician was involved in so much more of the office visit, often collecting samples or measuring blood pressure themselves. 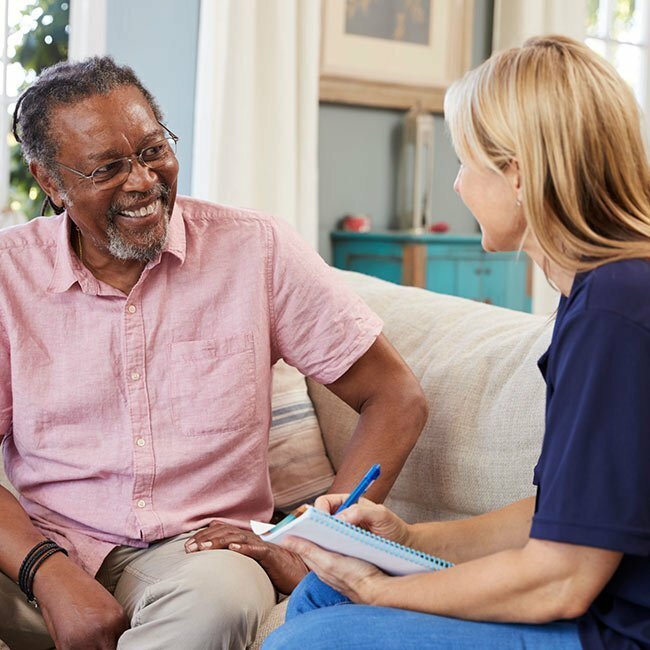 By personally collecting more of the patient’s data, the physician had time to pick up on subtle clues while chatting with the patient and building a relationship. Instead, conventional medicine abandons the entire personal nature of medicine. From my experience, under-testing might be an even bigger problem. For example, I see so many patients with B12 deficiency who have never once been tested for B12. The most common lab tests also don’t include the full thyroid panel, thyroid antibodies, or the full iron panel. Instead of ordering individualized tests to get to the root of a patient’s issues, doctors will run the same routine panel of tests in order to protect themselves—and nothing more, leaving countless people undiagnosed or misdiagnosed. Different pay model. Doctors today see double the number of patients they did during the 1970s but are compensated the same when adjusted for inflation. When malpractice insurance and overtime are also taken into account, it’s no wonder that the majority of physicians are burned out and unhappy. Realignment of incentives. Our system currently relies on insurance companies to pay for care. However, the goals of insurance companies are not always aligned with patient needs, nor with the doctor’s needs. Insurance companies profit when healthcare expenditures grow. Because of this, there’s little motivation for insurance companies to embrace treatments that would ultimately shrink spending on healthcare. The time has come to consider alternative models of paying for care. Less pharmaceutical influence. Kickbacks, dinners, perks—doctors are wined and dined to sell prescriptions to their patients. Medical treatment should have the patient’s best health interests in mind instead of the dollar signs. Focus on curing diseases, not treating symptoms. Instead of automatically prescribing drugs for acid reflux, high blood pressure, and insomnia, doctors should be figuring out what is causing these ailments. Holistic approach to healthcare. 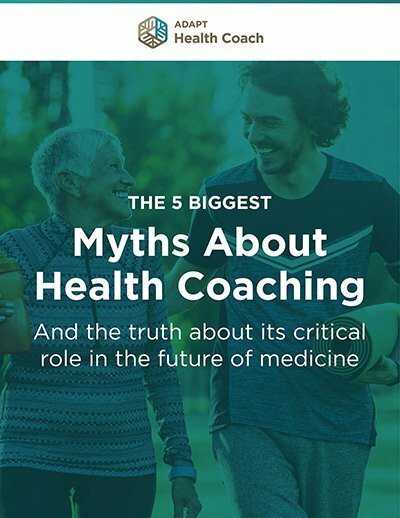 Ideally, in addition to a physician, patients should have nutritionists, coaches, and other professionals on their healthcare team to improve all aspects of health, including nutrition, sleep, stress, and work–life balance. Now I’d like to hear from you. How else has conventional medicine failed patients and doctors? What other changes would you like to see happen in the medical field? Let us know in the comments! Great article, very eye opening! It also makes me think of how we’ve turned the health profession into a celebrity type status, to become a doctor is like breaking it big as an artist. All the shows featuring slick doctors running around…we idolize these guys and hold them in high esteem, maybe for the wrong reasons. Healthcare is a humble thing, an empathetic thing. Not numbers and dollars. Functional med doctors have the better approach, unfortunately their fee’s are high and insurance usually won’t cover it. I only see this kind of doctor if I need one – recently had an appointment with a new dr to resume BHRT, spent 600.00 plus lab fees to talk about what I already know and then the script doesn’t get called in and doc goes on vacation, office won’t disturb so it’s 2 weeks to wait. Yes, better approach, but cost prohibitive for most and not always better service. As you stated ..The time has come to consider alternative models of paying for care” and also for a much greater emphasis on prevention — although that is also expensive. Chris, as a premed student this article comes at a critical time. Nobody can tell the future, especially just short of a decade out, but I”d be curious to know what your opinion is on this? How could a doctor who practices functional medicine survive in this sort of landscape right now or in the near future? Stop accepting insurance and open a practice near wealthy people and don’t accept insurance? While that would help me, this doesn’t help the masses! As you know, this is a deeply entrenched, systemic, and complex problem. Change will need to happen on three levels: our medical paradigm (switching from a symptom-driven to root-cause driven approach), how we deliver care (switching from a top-down “expert” approach to a more collaborative approach that utilizes nutritionists, health coaches, etc. to support behavior change), and of course realigning our diet, behavior and lifestyle with our genes. 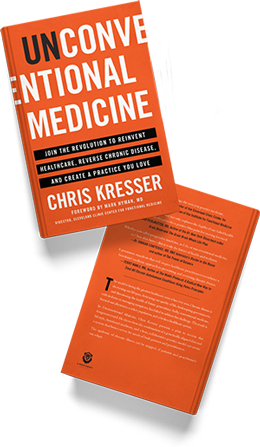 Right now, Functional Medicine is seen as expensive compared with conventional medicine. But that’s only because conventional medicine is heavily subsidized where FM is not. The cost of treating one patient with type 2 diabetes is estimated to be $14,000/yr. (This doesn’t factor the indirect costs of a chronic disease like diabetes, such as increased absenteeism and reduced productivity.) So, if someone develops T2D at age 40, and lives to age 80, that will cost the healthcare system $560,000. 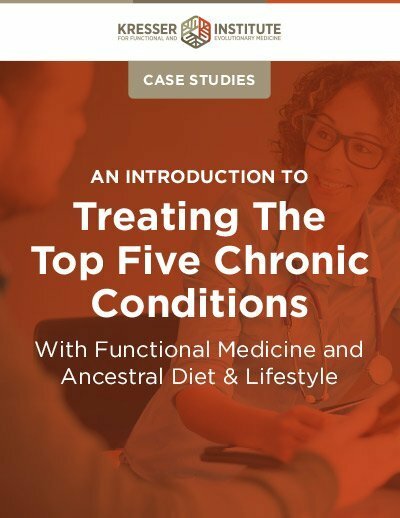 If we use a FM approach with ancestral principles to prevent or reverse this patient’s diabetes, even if we spend $5-$10k up front on testing and treatment over the course of a couple of years, we’ve still saved the system an enormous amount of money. These changes HAVE to be made, because our current system is unsustainable. Our only choice is whether we make them proactively, or reactively. Chris, do you know what the approximate cost to the patient would be in the above scenario? I think Chris is saying that for the PATIENT it would be $5-$10K out of pocket. Totally agree, but I’m troubled by the fact that integrative medicine clinics have prohibiting medical fees. I live in Canada and one went out of business a couple of months ago. Looking at it as a patient, a huge part of this problem is the doctor’s inability to LISTEN. It’s not just that in 8 minutes patients don’t feel comfortable enough to express more of the larger picture of their symptoms, it’s also not enough time for a physician to unwind and really listen to what I am saying. Add to that that a lot of what I say is often relayed by PA, residents, or NP; who knows what details are being lost, slightly changed, or going unanswered because the doctor is listening to a middleman rather than the patient. Case in point, I had open heart surgery in which temporary pacing wires were placed. When it was time for them to come out, rather than pull them out the PA just cut them flush with skin. Two months after surgery when I went to my cardiologist for a follow-up, I was still having pain in the lower 1/3 of my sternum – the wrong kind of pain, which was becoming worse as the incisions closed and healed. Chris, this was surgery #19, and second OHS. I KNOW what healing feels like and how it feels to have drain tubes, pacing wires, etc. But the doctor, after seeing the incision was closing up well, said just give it time, 8 weeks is not much time after OHS. A year later the pain was still there, I was losing use of my left arm due to radiating pain along rib, had a cough every time I laughed or sneezed and could not stand for clothing to touch my skin. When I saw my cardiologist again and suggested it was related to the wires, he said oh I doubt you can feel those and wanted to refer me to a pain management clinic to possibly get an injection to block a nerve along rib where the pain was. Rather than go there, I later wrote him an email reiterating what I had said during our 5 minute conversation and attaching an NCBI article with two cases similar to mine. After reading, he immediately began the process to have pacing wires removed. During surgery it was found that one of the two wires was very long – twice as long as the other – had come loose from its attachment on my heart and was curling around that nerve along the rib that was giving me trouble. Ever since removal my pain disappeared. But I never felt like my doctor had the time to really listen to me in office, half the time my requests went through his nurse, and too often they forget that I am the one living in this body 24/7 for 30 years. It’s not necessarily always a case of the patient not saying all – communication goes both ways and 8 minutes does not encourage communication on BOTH sides. I’m a primary care doctor (GP) in Australia and it’s not true that we practice that kind of care here. We do address lifestyle optimisation as the foundation of care for all conditions. We do take the time to discuss these things. We do know social circumstances etc etc. of course there are exceptions but this is my overwhelming experience and observation. We see a different patient base to you I believe, as we see the whole community, including those for whom health is not a highly valued commodity and those with no interest in lifestyle change. As we have a universal health insurance scheme only evidence-based and management-influencing laboratory testing is performed. I love my job. Even when patients find appropriate interventions and possibly tests they think might be used to get to the bottom of their condition they are dismissed. We all realise they will be spending very little time with them but when you are just existing because of chronic conditions it is so very disappointing when you come home knowing until you get the next symptom or illness you can’t see a doctor and the visit will not get to the cause anyway.